There’s nothing I like better than discovering a new Dorset café. 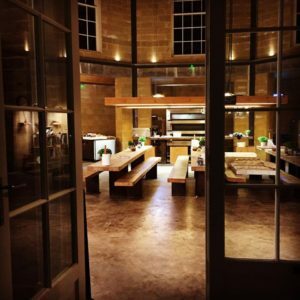 So en route to the garage – my car had broken down again – I was delighted to find The Bakery at Poundbury, the posh-looking village designed by Prince Charles on the outskirts of Dorchester. The Bakery has been open for three years and is part of a chain of six (the other cafés are in Lyme Regis, Exeter and Plymouth). One of them, the Rousden Village Bakery, is housed in an old garage, complete with the original petrol pumps. The Poundbury outpost looks great – long wooden tables and benches in a stunning building in Buttermarket Square – and serves all the things that you’d hope to find in a slap-up breakfast. Croissants, pains au chocolat and pains aux raisins are all laid out on vast trays and you just help yourself. When I visited the place was packed with families. Children parked their scooters by the door and plonked themselves on a bench to enjoy a brownie and a babyccino (I know, very Notting Hill) with their parents. The atmosphere was just what you want on a Saturday morning – relaxed and welcoming. The whole experience is great – but I think it could be even better. The format is slightly chaotic, with customers asked to find a seat before ordering coffee at the till and then collecting their own food. You pay at the end, so I haven’t a clue how the staff keep track of it all. My biggest gripe, though, is that The Bakery only serves coffee with full-fat milk, not even semi-skinned – so a skinny flat white is out of the question. PS. When you’ve visited The Bakery, nip round the corner to Cherryade, one of the best gift shops I’ve discovered in Dorset.